39 Birmingham manufacturing jobs have been saved in a deal that will create one of the largest independent metal pressings firms in the region. 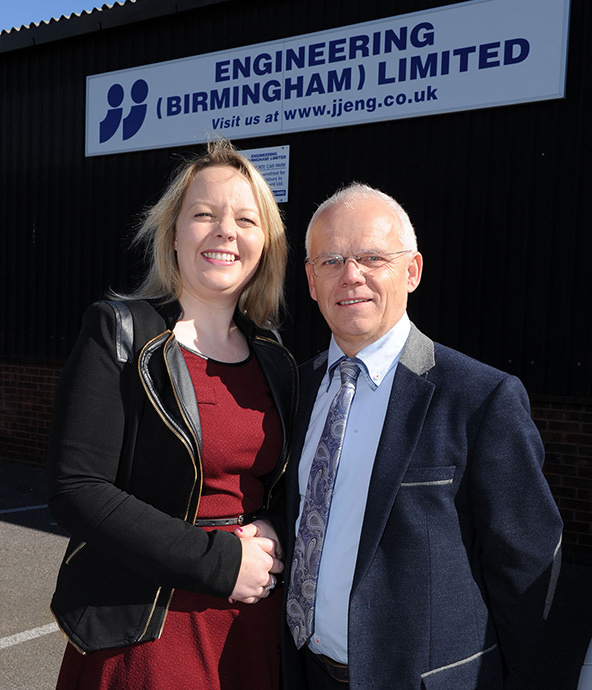 Black Country-based Millennium Assemblies, which was founded last year to look for opportunities to work alongside Millennium Pressed Metal’s established business, has purchased JJ Engineering from the administrators. It is now planning to use the additional capacity to embark on a 2-year plan to significantly enhance joint sales revenue to £10m. As part of the move JJ Engineering will be renamed Millennium Assemblies and will sit alongside Millennium Pressed Metal to form the newly named ‘Millennium Manufacturing Group’. The acquisition, which was supported by Crowe Clark Whitehill and the Wilkes Partnership, was completed late on Friday afternoon. 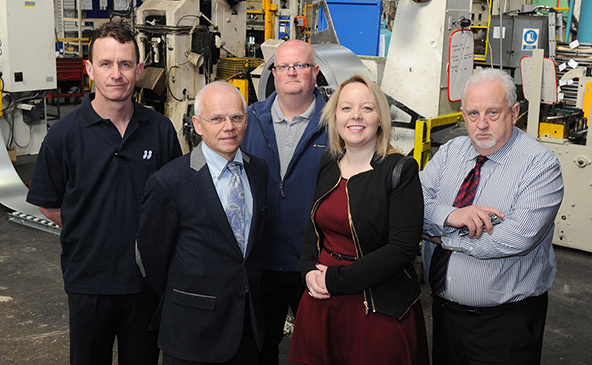 Former Cab Automotive Managing Director John Faulkner will take the helm at the Garretts Green factory in co-ownership with Managing Director of Millennium Pressed Metal Anna Stevenson. “JJ Engineering has a great workforce and a long history of supplying quality metal parts. The team shares our commitment to world class manufacturing, innovation and customer service and we are very proud to have created a new platform for the future,” explained John. “Sister company Millennium Pressed Metal had picked up a number of large contracts, so the ability to further increase our capacity with the purchase of the JJ Engineering plant was too good to turn down. There is also the added benefit of now being able to offer robotic welding, a well-equipped tool room and state-of-the-art metrology lab. 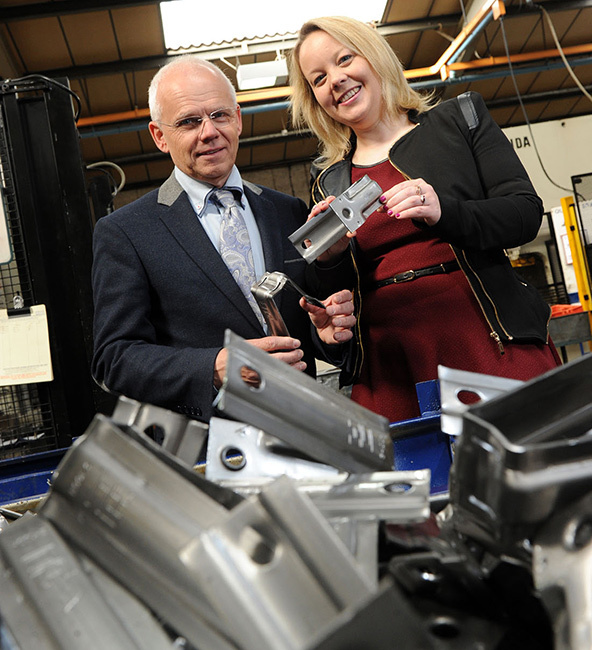 Millennium Manufacturing Group will employ 84 people across the two manufacturing sites and is set to turnover in excess of £7m in the next 12 months. The two companies offer a single source solution for pressed metal components, machined parts, tube manipulation, wire forms and welded assemblies. This can be through long-term strategic supply, rapid turnaround and capacity relief for clients grappling with production bottlenecks. “We now have more than 65 presses (from 25 to 350 tonnes) at our disposal,” explained Anna Stevenson.